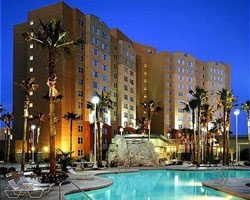 Find low cost Grandview Las Vegas Resort timeshares for sale and rent by owner on non-affiliated website, GrandviewLasVegasTimeshare.com. This gorgeous resort provides the perfect Vegas retreat with villas that have upscale decor and space enough to accommodate a large group. Family friendly with no casino, located minutes away from the busy Las Vegas strip. 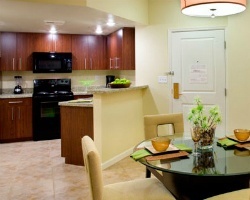 Enjoy the fantastic onsite amenities like five swimming pools and hot tubs! All villas include one or two bedrooms, full kitchens, living/dining areas, and spacious bathrooms with Jacuzzi-style tubs.